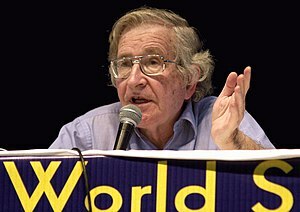 On Thursday, 10th March 2011, Hicham Yezza, editor-in-chief of Ceasefire Magazine, conducted an interview with world-renowned linguist, philosopher and political analyst Noam Chomsky. Many critics of the ongoing Euro-US wars in the Middle East and, now, North Africa, have based their arguments on clichés and generalizations devoid of fact. The most common line heard in regard to the current US-Euro war on Libya is that it’s “all about oil” – the goal is the seizure of Libya’s oil wells. On the other hand Euro –U.S, government spokespeople defend the war by claiming it’s “all about saving civilian lives in the face of genocide”, calling it “humanitarian intervention”. The words they find it very difficult to say — “civil war”. Libya is engaged in a civil war. The United States and the European Union and NATO — The Holy Triumvirate — are intervening, bloodily, in a civil war. 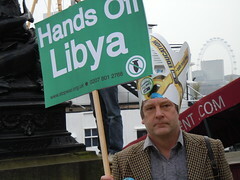 To overthrow Moammar Gaddafi. First The Holy Triumvirate spoke only of imposing a no-fly zone. After getting support from international bodies on that understanding they immediately began to wage war against Libyan military forces, and whoever was nearby, on a daily basis. In the world of commerce this is called “bait and switch”. I’m glad someone is on the ball. President Obama’s pick of Kansas to win the “March Madness” collegiate basketball tournament ended with their defeat by Virginia Commonwealth University this past Saturday. He must know how the Jay Hawks are feeling because he is entangled in his own March Madness that will continue after this month ends. The expanding nuclear meltdown disaster from Japan’s cluster of nuclear plants gets worse by the day, yet President Obama continues to reassure the nuclear industry that he supports more plants guaranteed by the U.S. taxpayers because Wall Street otherwise will not risk loaning billions of dollars per plant. Gadhafi, Libya, counter-revolution, and the pack of imperialist hyenas by Fazal Rahman, Ph.D.
“Guarantee 10 percent and capital will do anything, guarantee 20 percent and it really comes to life, at 50 percent, it is ready to cut off its own head, at 100 percent, it will trample every human law, and at 300 percent, there is no crime it will not risk, even if it means the hangman’s noose. ” — English publicist T. J. Dunning, quoted by Marx and cited by Gromyko in his book, Memories: From Stalin to Gorbachev. P. 186, 1989. A year after assuming the post of president of the French Republic in 2007, and while his nation held the rotating European Union presidency, Nicolas Sarkozy invited the heads of state of the EU’s 27 members and those of 17 non-EU Mediterranean countries to attend a conference in Paris to launch a Mediterranean Union. 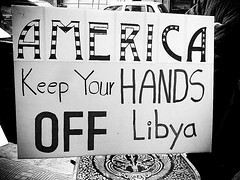 Congressman Dennis Kucinich (D-OH) today wrote to President Obama that it was improper to commit the United States to a military intervention in Libya without prior Congressional approval, clear objectives and questioned the criteria used for intervention. Kucinich also informed President Obama of his intent to introduce a bipartisan amendment that would cut off all funds for the U.S.’s role in Libya to the next funding measure to be considered. 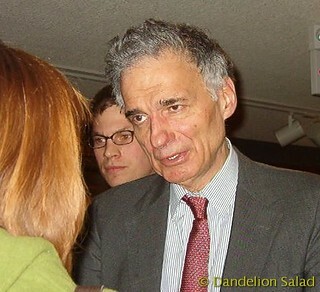 The letter was sent immediately upon the President’s return to the United States from a trip to South America that began after the President announced U.S. participation in military intervention in Libya without seeking prior Congressional approval for the use of military force as required by the Constitution. Yesterday, I was scanning through the AM radio stations on my way to Berkeley to pick up something, when I heard a familiar voice, our old friend, Congressman Dennis Kucinich (D-Oh)—and he didn’t sound happy. So I stopped the scan to listen. Surprisingly, Congressman Kucinich was talking to another old “friend,” Sean Hannity of Fox News—the only thing I have to say about Sean Hannity is that I was on his TV show in NYC once and he paid for my assistant and I to fly the next day to Cuba—Sean financed a Federal Crime, but at least I have something on him, now. When will the American people demand accountability from their government? When will Americans realize that there is no “clear and present danger” that could conceivably be used to invoke the war powers act? Where is it written that America is the conscience of the planet and has the right to bomb and kill those that the United States regards as evil?